We here at Points are very excited to present the first installment of guest blogger Shana Harris’ new two-part series on drug decriminalization in Latin America. Shana is a recent graduate from the joint Ph.D. program in Medical Anthropology at the Universities of California at Berkeley and San Francisco. Her research focuses on a variety of drug-related topics, including pharmaceutical policy, drug treatment, buprenorphine therapy, and gamma hydroxybutyrate (GHB) use. Her dissertation, “Out of Harm’s Way: The Politics and Practice of Harm Reduction in Argentina,” examined drug use and the politics of intervention involved in the promotion and practice of harm reduction in Argentina since the mid-1990s. 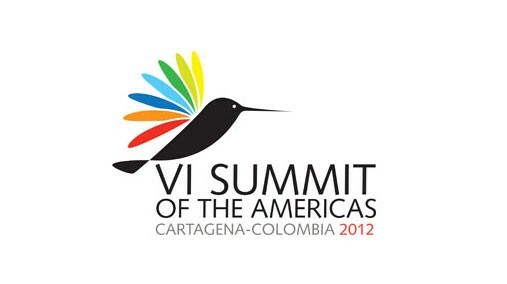 Less than one month ago, the Sixth Summit of the Americas took place in Cartagena, Colombia. On April 14 and 15, leaders from across the Caribbean and North, Central America, South America gathered to discuss the various political, economic, and social issues facing the countries of the Western Hemisphere. What made this summit distinctly different than its predecessors, however, was its explicit attention to drug policy. This signaled the first time current presidents from across the Western Hemisphere engaged in a serious discussion about alternatives to the current War on Drugs. Since launching the War on Drugs four decades ago, Latin America has largely followed the anti-drug policy agenda of the United States. Latin American leaders have generally agreed to take aggressive measures against drug use and trafficking in their individual countries in exchange for aid from the United States. In recent years, however, Latin American governments have begun to challenge these measures by openly debating the prohibitionist policies that guide the majority of anti-drug efforts in the region. The Summit of the Americas was simply the most recent chapter in this debate. 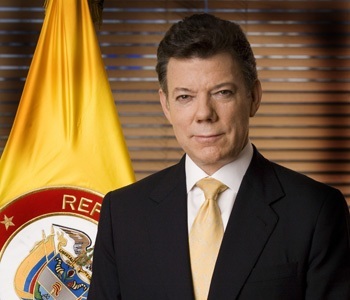 The publication of the 2009 Annual Report of the Latin American Commission on Drugs and Democracy first set off this regional debate. Entitled “Drugs and Democracy: Toward a Paradigm Shift,” the report broke the long-standing taboo surrounding the public discussion of drugs in Latin America with its call for drug policy reform. Led by former Presidents Fernando Henrique Cardoso (Brazil), César Gaviria (Colombia), and Ernesto Zedillo (Mexico), the commission recognizes that prohibitionist policies have failed to curb — and have in many ways have exacerbated — drug trafficking and drug use in the region. One policy alternative in particular has taken center stage in this debate: decriminalization. Several current and former Latin American leaders support decriminalization — whether of drugs in general or simply of drug possession for personal use — for various reasons. 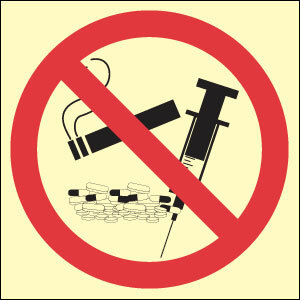 Some see it as a way to approach drug use from a public health rather than punitive perspective. Others view it as an alternative to incarceration for drug-related offences, an issue that has led to serious overcrowding in Latin America’s prisons. More commonly, decriminalization is envisioned as a means of addressing the massive violence and corruption caused by drug trafficking in the region. The recent surge in drug-related violence in Mexico and Central America has drawn a great deal attention both regionally and internationally to these matters. In Mexico, drug-related violence has caused more than 47,000 deaths since President Felipe Calderón began his military campaign against drug trafficking in 2006. Violence has also dramatically increased in Central America as more and more Mexican gangs and drug cartels have moved into the area. The United Nations Office on Drugs and Crime (UNODC), for example, documented a sharp rise in homicide rates in Central America since 2007. In fact, the triangle of Guatemala, Honduras, and El Salvador, according to UNODC, is home to one of the highest murder rates in the world. Drug-related violence plays a central role in the decriminalization debate. The issue has taken center stage in the administration of the newly elected President of Guatemala, Otto Pérez Molina. In January of this year, President Molina internationalized the debate with his proposal to decriminalize the production, transport, and sale of drugs in Guatemala. This proposal is part of an effort to curb drug-related violence in both his country and Central America more broadly. 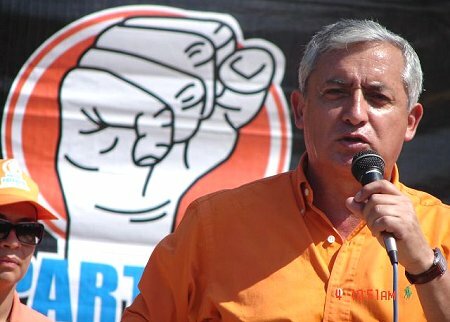 Molina has stated that Central America is paying too heavy a price in the War on Drugs because of its geographic location between the mass of drug users in the north and drug producers in the south, explaining “our countries are not producers or consumers of drugs…We are in the middle of the sandwich.” As a result, President Molina has proposed the full decriminalization of drugs, the first president in the history of Latin America to do so while in office. While some Latin American governments are hesitant to support full decriminalization, several have already taken steps towards decriminalizing drug possession for personal use. In 1998, Paraguay passed a law that decriminalized the possession of small amounts of a drug for personal use. In 2002 and 2006, legislative changes in Brazil led to the partial decriminalization of possession for personal use whereby prison sentences for drug use-related offenses were replaced with drug treatment, educational programs, and community service. In 2003, Peru modified its Penal Code for drug offenses in order to decriminalize possession for personal use. In 2007, Chile formally decriminalized drug possession for immediate individual use in the private sphere. In 2009, Mexico passed a decree that decriminalized the possession of small amounts of a drug for personal use. Now, those individuals apprehended with the legal quantities of drugs — which vary depending on the substance in question — are encouraged to seek treatment. In the same year, Argentina’s Supreme Court declared the nation’s stance pertaining to drug possession unconstitutional. In light of this ruling, a bill was presented to the Argentine Senate this past March to decriminalize marijuana possession for personal use. Is legalization the answer? According to President Obama, nope. Other leaders, while not necessarily supportive of decriminalization, are open to discussing the issue of drugs in their countries and Latin America more broadly, including Dilma Rousseff (Brazil), Laura Chinchilla (Costa Rica), and Mauricio Funes (El Salvador). Although they may not always be in agreement with their counterparts, such readiness and willingness to debate drug policy reform on a regional level is absolutely necessary for charting a different course in the War on Drugs in Latin America. This post has provided a brief introduction to recent policy reform efforts around decriminalization in Latin America. While the specific details of individual countries’ efforts and positions have been given only cursory attention here, this post has hopefully offered a glimpse into an important policy trend currently occupying politicians, scholars, health professionals, and drug users across Latin America. Since my first trip to Costa Rica 12 years ago, and during the past seven years living here, I have watched the spread of crack cocaine use fueled by the transportation network along both coasts. The coastal fishing villages are inundated with cocaine in the form of payments to local fishermen and government officials, as well as the occasional bale that floats ashore from vessels deliberately sunk to avoid capture. Overland transport carries much of the cocaine northward through the rest of Central America. As a health professional who volunteers at a local drug program, I see the tragic effects of our little country being a way point feeding the needs of the U.S. market. The vast majority of my colleagues here, as in the U.S. support harm reduction and decriminalization.